Another development site on Fourth. Corners are disappearing fast on the avenue, pushing new construction ever farther south. 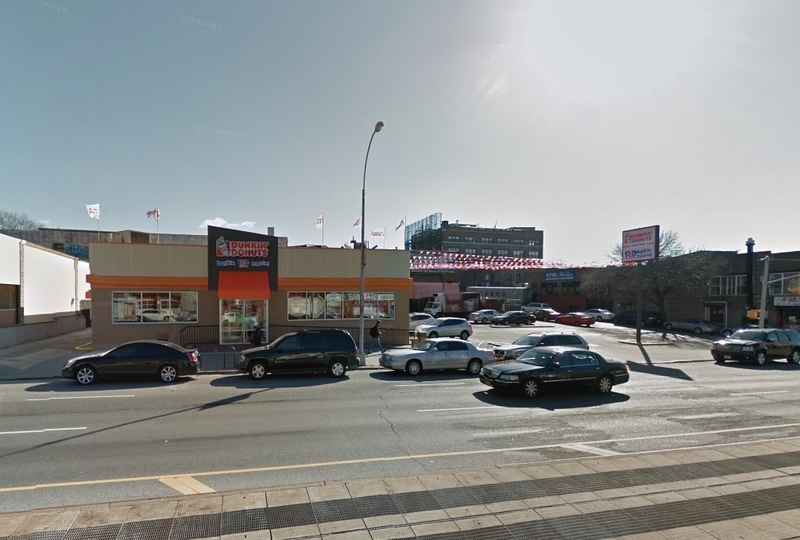 737- 47 Fourth, on the north-east corner of 25th Street, is currently occupied by a drive-through Dunkin' Donuts, and the property is now on the market for $19,800,000. Corcoran is handling the sale. Currently NNN leased to Dunkin' Donuts and expiring shortly, the 150ft x 100ft parcel of land offers the development opportunity typically traded off-market. Neighboring tenants include Subway, MetroPCS and a Best Western Plus with this portion of 4th Avenue heavily trafficked by commuters between Park Slope and Sunset Park. This is a rare opportunity to acquire a prime development lot in Brooklyn. The property is less than one block from the R 25th Street subway station which is only four stops from the Atlantic Terminal/Barclays Center with access to the D,N,B,Q,2,3,4,5 Trains plus the LIRR, making the commute in and out of Manhattan only 23 minutes.